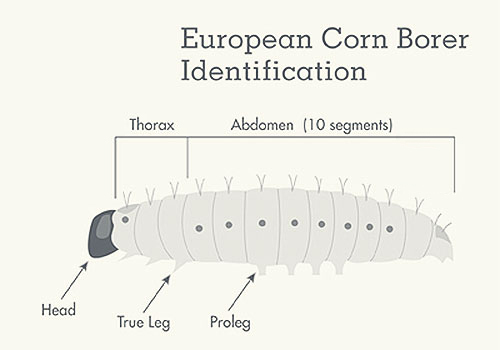 European Corn Borer larvae feed on several crops species including corn, cotton, and grain sorghum. Thresholds for pesticide application have been established in Missouri only for corn. 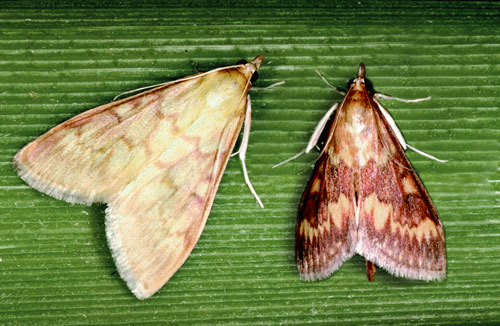 Begin scouting first generation larvae once moths have been detected in pheromone traps and corn has reached the six-leaf stage. (Usually late May to early June in central Missouri; seven to ten days earlier in the southeastern counties). Scout earliest planted corn fields first. 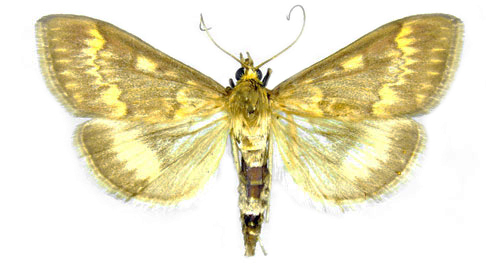 Fields should be scouted weekly for the next two to four weeks to detect first-generation infestations. or second-generation, fields should be scouted beginning around mid-July and until early August in central Missouri. Enter field at least 100 feet. Randomly examine 10 plants at 10 separate sites (100 plants) per field. Look for egg masses, signs of feeding, and larvae. For first generation larvae, focus on the middle third of the plant. Unwrap whorl leaves to find larvae. For second generation larvae, focus on the ear leaf, one leaf below the ear, and one ear above the ear. Calculate the percentage of plants damaged and/or infested. For example, 27 plants damaged and/or infested among the 100 plants examined (10 plants X 10 areas) means that 27% of the stand is affected. Threshold for insecticide treatment for first generation is 50% of plants have feeding damage and are infested. 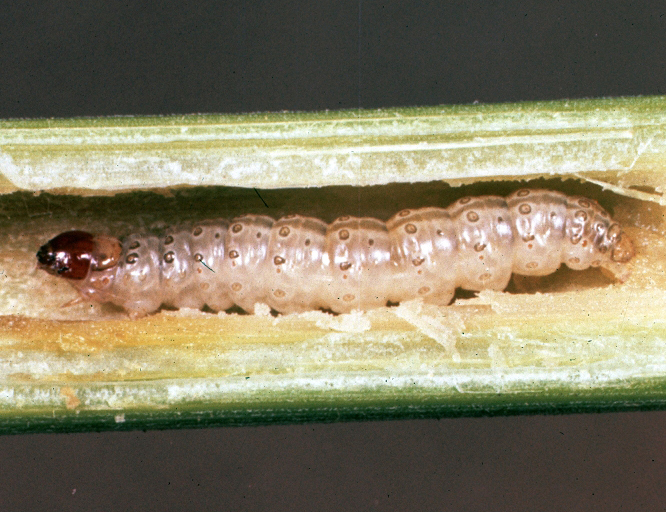 Threshold for insecticide application for second generation is when 50% of the plants are infested with egg masses or larvae.